In all of our 4H and homesteading days, we have raised over 20 rabbits. Most were “dual duty” as pets and working animals, meaning for compost and fiber. Our French Angoras are the perfect example of a double duty animal. They have lots of long hair that is great for learning how to spin and knit or crochet with. This is the main reason we started our Angora herd, to be honest. My daughter loves to knit, crochet, and all things yarn related. Taking care of the fiber rabbits requires a bit more than just regular rabbits, however. 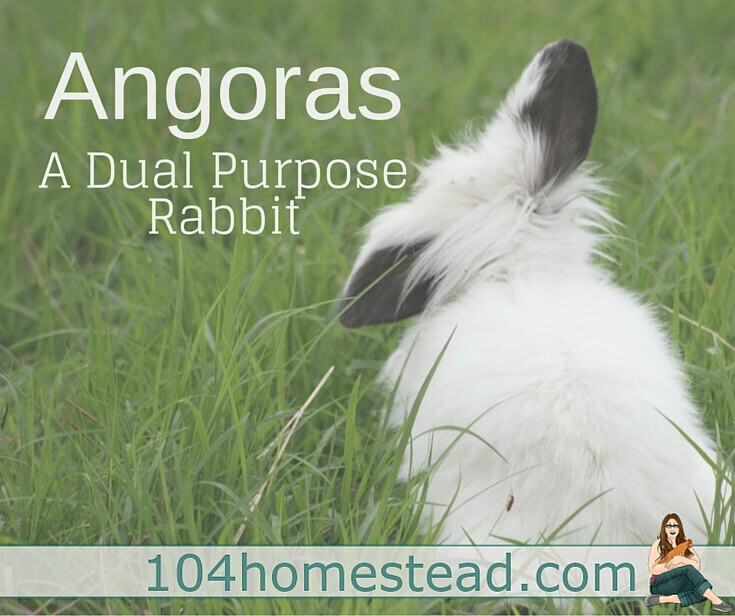 Our French Angoras are the perfect example of a double duty animal.